Nominalism, which has its origins in the Middle Ages and continues into the Twenty-First Century, is the doctrine that there are no universals. This book is unique in bringing together essays on the history of nominalism and essays that present a systematic discussion of nominalism. It introduces the reader to the distinction between particulars and universals, to the difficulties posed by this distinction, and to the main motivations for the rejection of universals. 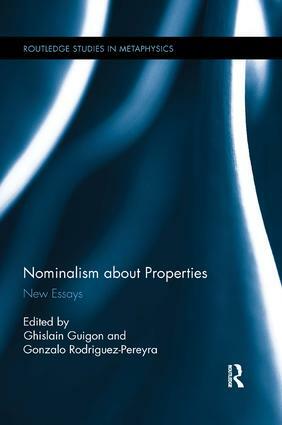 It also describes the main varieties of nominalism about properties and provides tools to understand how they developed in the history of Western Philosophy. All essays are new and are written by experts on the topic, and they advance the discussion about nominalism to a new level.